Tourism in Eibar is far different from tourism in other cities of the Basque Country. Eibar is a very unique town, well-known as an important and rich industrial city of the middle of the 20th century. Set in a deep valley, surrounded by afforested mountains, today Eibar has become in a vibrant, cosmopolitan town situated midway Bilbao and it´s airport and the coastal resort city of San Sebastian. 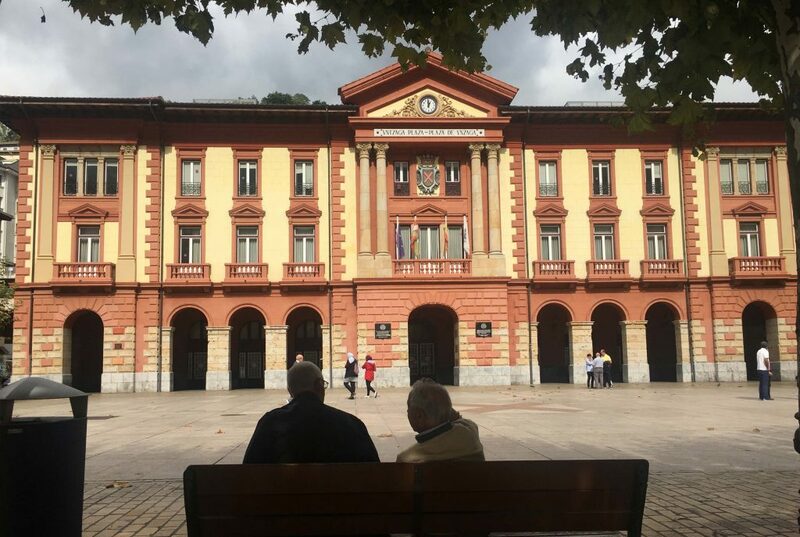 We propose you walking tours in Eibar city so as to understand the complex transition and evolution of the city, and of its 27000 inhabitants, from the industrial city model to its current state. We encourage you to fully discover Eibar like a local: we will walk and visit Eibar from the ground, taking a glance at its history and culture and visiting the city main attractions. One of the “squares” is shaped like an amphitheatre and this is where traditional Basque dancing takes place. Of course, we will also enjoy eating some “pintxos” (tapas in the Basque Country) and we will get an insight into Eibar football club, which also has a successful La Liga football team, and its strong relation with the city. Oh, don’t be put off by the steep streets because Eibar is full of outdoor escalators- you hardly have to walk too far! We are convinced another type of tourism in Eibar is possible. We are convinced our guided tours in Eibar won’t disappoint you.